"Great Men and Famous Women - 3" by Normadeane Armstrong Ph.D, A.N.P. These are Volume's IV: Statesmen and Sages and VI: Workmen and Heroes from the Great Men and Famous Women books series. They were published by Selmar Hess located in New York. These books were edited by Charles F. Morne and contain many pen and pencil sketches. These books were previously part of the reference section of the James E. Tobin Library, Molloy College. These books have hence been discarded as is evident from the stamps placed inside the book. 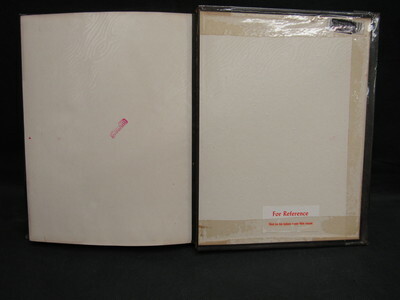 The books have leather covers but have been covered by lamination, a common practice in the 1950's, which today is known to be bad for the book.